Siobhan Burke is a New York dance writer. She contributes frequently to The New York Times and Dance Magazine. Gemma Bond, an ABT corps member, prefers choreographic opportunities over starring roles. Photo by Jim Lafferty for Pointe. If you've been keeping up on developments in the ballet world, you've probably had cause to ask: Where are the female choreographers? “I get asked to do interviews a lot because of that question," says Emery LeCrone, a freelance choreographer and dancer based in New York City, “instead of just to talk about my work." The skewed ratio of male to female ballet choreographers has long been established, inspiring countless distraught—and necessary—conversations and articles (including in this magazine). The reasons for this imbalance—why more men than women are making work at top companies like New York City Ballet and American Ballet Theatre—run deep, rooted in an ethos of conformity that follows female dancers from their first ballet class to the white acts of Swan Lake. 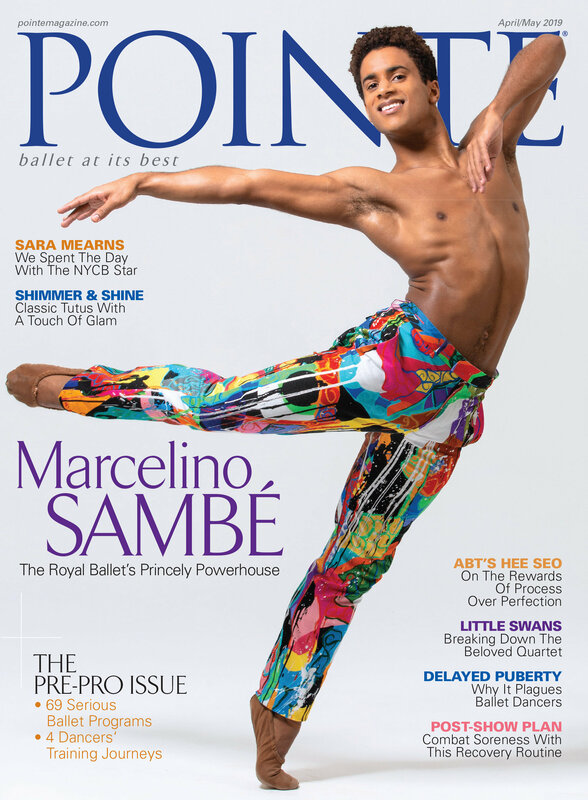 Men, being a rarer breed in ballet, tend to get more specialized treatment from a young age. And at the professional level, women often rehearse longer hours (think of all the story ballets with multiple scenes for the female corps), giving them less time, energy and mental space to make their own work. Gabrielle Lamb (fair right) finds inspiration through improvisation. Photo by Jaqlin Medlock, Courtesy Lamb. Gemma Bond rehearsing Cassandra Trenary for ABT's Innovation Initiative. Photo by Jim Lafferty for Pointe. LeCrone during NYCB's 2011 New York Choreographic Institute. Photo by Rosalie O'Connor, Courtesy NYCI. Agon. The Goldberg Variations. In the Upper Room. We hear these titles today and think, “Classics.” But at what point does a ballet achieve that status? Which raises a simple question: Why? What accounts for how widely these ballets are performed, for their appeal to artistic directors in search of new repertory? Is it some objective “greatness”? Or more practical assets, like the ease and efficiency of producing them? Is it the excitement they bring to audiences, the artistic challenge they offer dancers? That sense of invention also impressed Boal, who brought the work to PNB—the company’s first taste of Wheeldon—in 2007. “It’s interesting when you feel like you can see the world in just eight bodies,” Boal adds. “Polyphonia really runs a gamut of expression and unexpected form. You think there’s only so much you can do with two legs and two arms, but Chris came up with a whole lot more.” Like Wheeldon, he notes that the ballet “wears its multiple casts well,” suiting new dancers as much as its original interpreters.